Akers stood obediently next to Wenger waiting. What happened next? We showed in those first 15 minutes that we were more than a match against the best team on the planet. We were running them scared. It was a magnificent start to the game and in my opinion if Ozil had scored the penalty we would have run out winners and the whole world would be heralding the new fantastic Arsenal. Also if the ref had kept Szczesny on the pitch I am convinced Arsenal would not have lost the game. But alas dopey Ozil missed his third penalty in a row and the rest is history. Yet we handed the game to them by making a series of errors both from the players themselves and from Mr Wenger. First mistake: Why was Ozil chosen to take the penalty? Cazorla or Flamini or Sagna or hell anybody else would have scored it, surely! Second mistake: Why oh why did Koscienly stay up field in the dying minutes of the game?!!!! Third mistake: Why did Wilshere not play the free kick, that Koscienly won, short to a player near him in order to gain more time?!!!!!!! Third mistake WHY OH WHY did Mr Wenger not bring terrible Ozil off at half time even?!!!! It was obvious his head had dropped but more importantly he was refusing to track back!!!!!!!!!! When we were playing with 10 men for Pete’s sake. The man is an idiot. He is a 43m waste of money. He has been underperforming for a long time but the efficiency of the rest of the players was masking it to an extent. Vic Akers was standing obediently next to Wenger holding the papers ready to hand to the fourth official the substitution players’ numbers when Szczesny was sent off. Wenger acknowledged Akers’s presence and thought hard for a few seconds. Then he turned to Vic and passed on his decision. IT WAS THE WRONG DECISION Mr WENGER. Fourth mistake: WHY OH WHY did Mr Wenger keep Ozil on when Rosicky was brought on for the OX?!!!!!!!! Ozil is not a sacred cow. Ozil is not above the rest of the players. Surely when a player is off his game then he should be dropped or subed. What would the rest of the players think? That there is one law for us and another for the teacher’s pet Ozil?!!!!! Vital we bounce back against Sunderland. I think Sanogo will start. This time Wenger set up Arsenal to defend a little deeper giving respect to Liverpool’s fast forward players in Sturridge, Suarez and Sterling. This meant that through balls behind Arsenal’s defence for the on rushing speedsters was a lot more difficult. It also meant that Liverpool were getting crowded out in front of Arsenal’s back line. Wenger made another important decision and that was in team selection. One he doesn’t make normally as he likes to have only one defensive central midfielder complimented by a more creative one. On this occasion he went with two defensive players, Flamini who was magnificent and Arteta who was solid. They sat deeper than normal and swept up in front of the defence. This change of approach allowed Arsenal to play on the counter attack. The Ox was the one detailed to sail down the right wing and he stretched Liverpool’s defence time after time. He scored the first goal and set up the second by a delicious run behind the full back and an intelligent cut back for the on rushing Podolski who looked sharp until his mistake for the penalty. What was also impressive was the fighting spirit that was evident throughout the team. They set a high tempo and were full of running both on and off the ball not letting the Liverpool players any moment to themselves. More importantly they wanted to win and get the revenge they felt they deserved. Yaya Sanogo had in my opinion an excellent game. I was taken aback as I had watched him in the summer play for the France U 21’s and he looked a bit sluggish and ponderous. He was a revelation tonight! He was getting most of the headers from long balls just like Giroud does. He was also able to accept the ball and pass it to a team mate. The Liverpool defenders often had to foul him as they couldn’t out muscle him when they went up for the high balls together. He created the first goal by chesting the ball down inside the box and hitting it goal wards. It would have gone in had it not hit a defender rebounding to the Ox to score. Is this the reason that Wenger was so reluctant to sign another forward in the recent window? Or is he waiting for RVP? I couldn’t believe it when most of the so called pundits were expecting Arsenal to beat United. Ok Utd have not been playing that well and they failed to beat a very average Fulham side at Old Trafford. But the doomsters seem to have forgotten that Arsenal were coming from a real thumping out of all proportions with a 5 1 thrashing by Liverpool. Whatever one might think, any player and any side playing the next game after such a heavy defeat would be nervous of conceding goals to say the least. Add to the mixture that the opponents were also weary of failing again, thus adopting a defensive approach and you were very likely to get a stalemate. I was not that worried at the end. I think that we needed to get this game out of the way and to come out unscathed and thus regain our composure and self confidence. We are not after all knocked out of the title race are we? We are not like a boxer who has taken a punch on the face and is lying down with the referee counting us out of the fight, are we? We are one point from the top and possibly two if Man City win their postponed game. That’s not bad. You would have beaten the hand that would have offered you this at the beginning of the season for sure! Now we can push on. We have a series of winnable PL games (Sunderland home, Stoke away and Swansea home) which will allow us to challenge on an equal footing with the other sides for the title. And although Theo’s absence is a harsh blow the good news is that we will soon be back to a full compliment of players for Wenger to choose from. We do have Flamini coming back in the next game and Ramsey in a couple of weeks. The Ox is finally back and match fit and so is Podolski who is bound to get more games now that the FA Cup and CL games are coming round. One week is a very long time in politics and in football, as they say. Remember that recent records show that after a bad defeat Arsenal find another gear and go on an unbeaten run. It happened last season after that bad defeat at Tottenham after which we went on an unbeaten run to pipe the Spurs into fourth place against all odds. It happened this season after the humiliating 6 3 defeat at Man City. It can happen again now. But things need to happen and there are two important changes that Wenger needs to introduce from now on if we are to use this defeat as a springboard to magnificent glory. The first is to change the personnel. As many have commented on this blog Monreal is not a big game player. Gibbs is. This is because Gibbs has more grit and determination and can do the basic defending that is needed in the PL. Monreal has been raised on the Spanish League which a little bit different. He had been found wanting against the City attackers and failed. Other teams have realised this and now target him. Brendan Rodgers did so by placing a pacy winger on his side who took advantage more than once. So please bring Gibbs in Mr Wenger. The Ox didn’t have such a bad game but he is not yet a player for the big games. Podolski is and he should start games. He has the experience, the physique and he can track back and do the necessary defending. So bring Podolski in Mr Wenger. Rosicky should start every game. But it seems Wenger is reluctant to do so because he is a direct player who turns with the ball and surges forward taking the game to the opponent. This will not do for Wenger who likes to play at a slower pace, keeping possession with tiki taka football in the first half of games. And then quicken in the second half with maybe Rosicky coming on. But this often backfires against the big more bold attacking teams who are set up to press you high and go for your throat when they get the ball. So rest dopy Ozil and go with Rosicky from the start of games Mr Wenger. After a change in personnel the style of play needs to change. We have to be more direct, press opponents in their half and play with a quicker pace right form the off. The slow passing and possession game that is adopted no matter who the opponent is gives the chance to the more confident teams to put you out of your stride, press you high up and unsettle you. Southampton did it, Man City did it and now Liverpool did it. Don’t let Man Utd do it Mr Wenger. What a shambles. The players did not turn up at all. Collectively everyone played like a Sunday League player. What an earth possessed them? Did they think that by just turning up they would have come through ok? Arteta had one of his worst games. He offered no protection for the defence who themselves had one of their off days. Monreal is not up to it in the big games. He failed miserably against City and he failed again today. Ozil was again non existent. Kept giving the ball away. He needs to up his game and become more physical. Maybe he will do it on a more consistent basis next season. But he needs to be dropped for the game against United. We can't afford to play with 10 men. But I doubt if Wenger can bring himself to drop him. Rosicky deserves to start as he is more direct and quickens the pace. Podolski should replace the Ox and Gibbs should come in for Monreal. Giroud was not given the service he deserved. He had a poor game because of this and because there was no support from his fellow players. The Ox tried in the second half and won a penalty. But he was non existent in the first. The same with Cazorla. Only Wilshere had a reasonable game but when everyone else is mediocre what do you expect? The reality is that Wenger's tactics were wrong. He gets the tactics wrong against the big teams. He likes to play a passing game which implies a slow build up aiming to control the ball and thus the flow of the game. This works very well against the smaller teams who, suffering from an inferiority complex, set up defensively conceding possession. That is why Arsenal usually score in the second half when the opponents are worn out defending all the time. 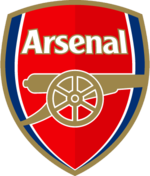 And that is why Wenger does not encourage a very quick passing game in the first half wanting to tire them out, giving the opponents a false sense of security as they feel that since they have not conceded they must be doing well. But as with Southampton away in the 2 2 draw when the opponents come out strong and push up at our defenders refusing to concede possession the whole plan goes out of the window. Add to this the fact that Liverpool WANTED to win every ball, WANTED to force the game, WANTED to win, and you have a heavy defeat. Just as it happened with Man City away. But Wenger does not change his tactics. He is a stubborn man. What he needs to do of course is to make sure that the player's heads do not drop now. It will be a pity if an implosion happens again and we throw away everything that we have worked so hard to attain. I am sure we will see a very different Arsenal on Wednesday, firing on all cylinders and getting the win that will be the stepping stone to propel us to the top of the League.